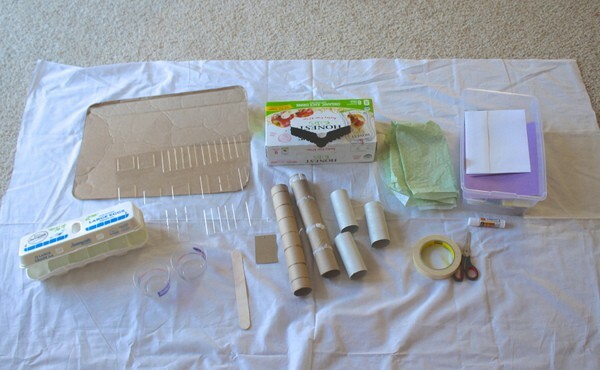 One of the easiest ways to promote creativity in your home or classroom is to set up a ‘create box’! We have a black crate for our create box easily accessible in our play room. Before I throw something away or put something in our recycle bin, I always stop and decide if it would be something the kids could use for creating. If so, I drop it in the create box instead of getting rid of it. Over time our create box is usually full of leftovers from the kitchen or packaging like toilet paper rolls, cardboard boxes, plastic containers and string. When the kids are looking for something to do, I frequently find them getting materials from the create box and creating! Today I did something a little bit different. 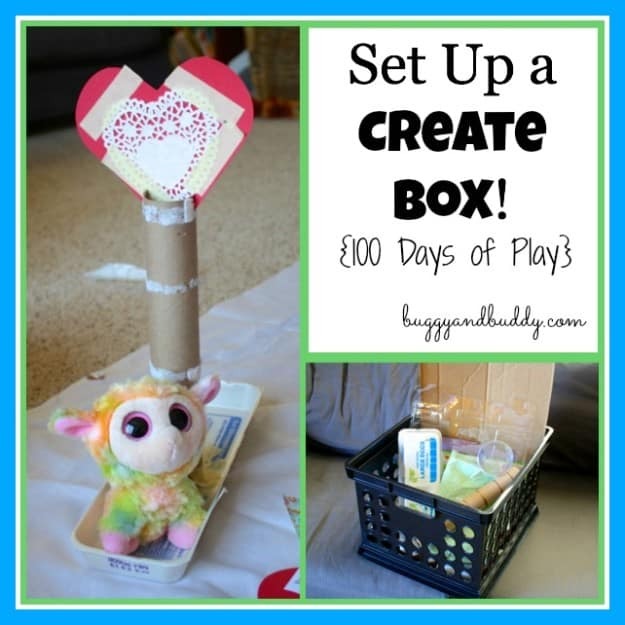 As a part of the 100 Days of Play Blog Hop, I decided to set some time aside and use the create box with the kids myself! I placed a large sheet on the ground. (I find it sometimes helps keep materials contained when there’s a designated area to work.) 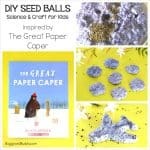 I spread out all the materials from our create box and paper scrap box onto the sheet, as well as some additional supplies like tape, scissors, glue and crayons. Materials out and ready for creating! I invited Lucy and her friend to join me, and we just started making things! I had so much fun talking with the kids as we shared ideas. We made necklaces, instruments, toy boats and houses for imaginative play. 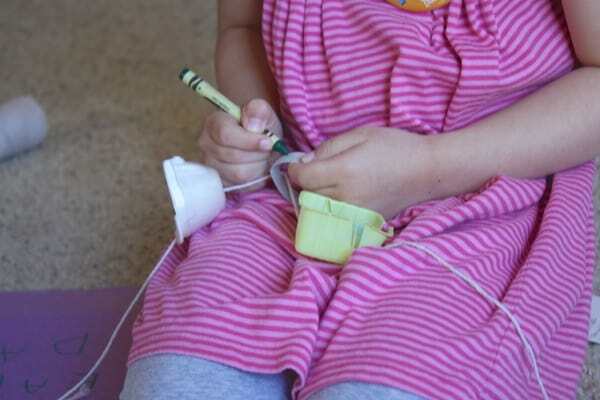 I helped the girls attach items that were difficult to get to stay the way they wanted, while they helped me brainstorm ideas for materials I was working with. 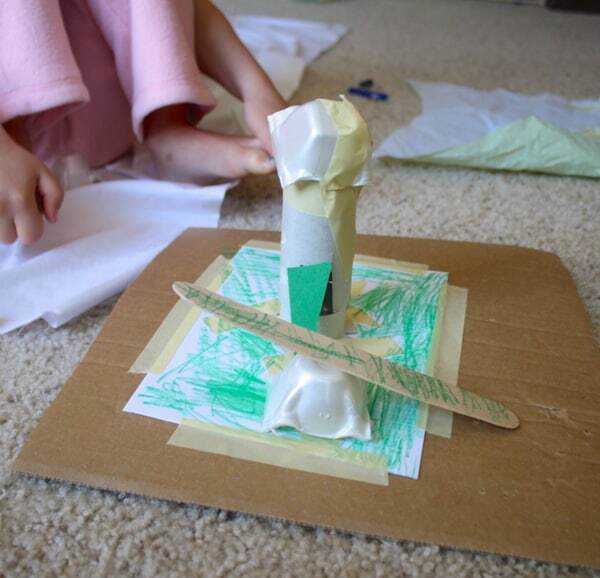 Lucy’s friend made a dinosaur play area complete with little house and see saw! I was only planning on doing this for about 30 minutes, but we sat and did this for at least an hour. Our create box is actually almost empty, and in its place are lots of new creations to play with. But the best part was spending quality time connecting with the kids! 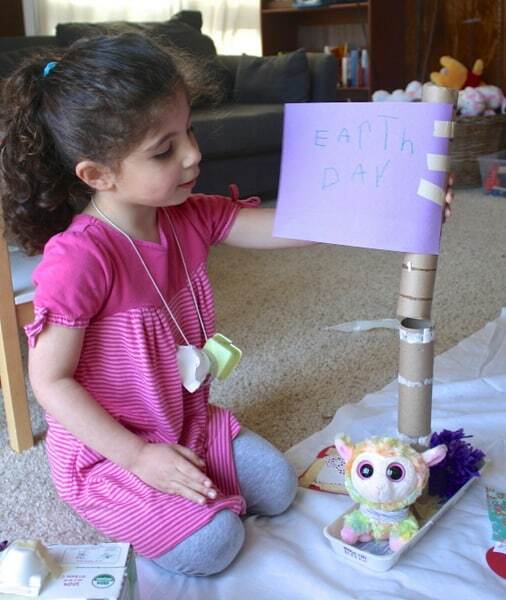 As Earth Day approaches, why not take the opportunity to set up your own create box and use it throughout the year. 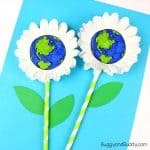 You can help teach your kids about reducing trash and reusing items while promoting creativity as well! 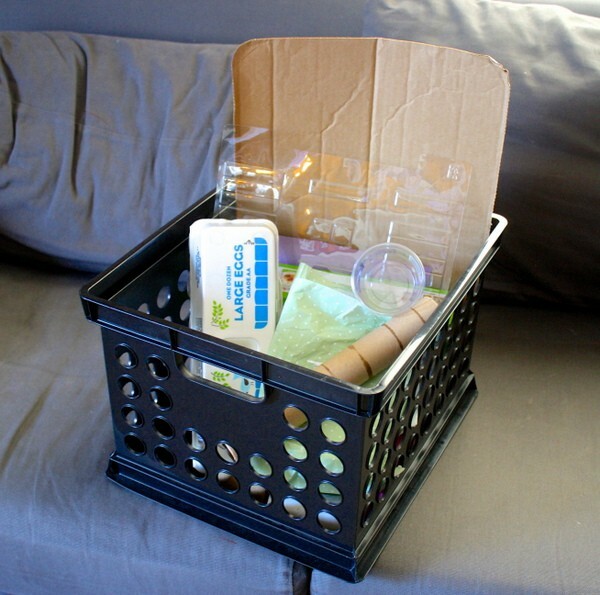 Setting up your own create box is easy~ just find an old box or container, set it somewhere in your home where it’s accessible, and begin filling it with leftover items. 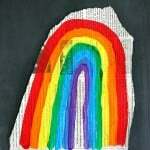 You’ll be amazed at what your child comes up with! 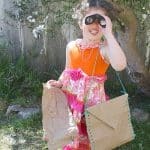 This post is being shared as part of the Mommy Playdate 100 Days of Play hosted by Sun Scholars and Life at the Zoo. 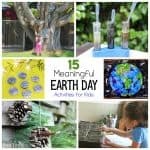 100 bloggers from around the world are taking part in the challenge of connecting with our kids through play and are sharing our ideas with you from April 1st thru July 9th. 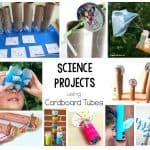 We hope you find some ideas that inspire you to play and connect with your kids! New ideas shared each day from 4/1 – 7/9. Thanks so much, Rachel, for hosting the 100 days of play! It’s been full of amazing ideas! What a great idea to have all these things easily accessible! So cool! I have a tub full of things I’m saving for my son to make stuff with, but it’s way up high on top of a shelf…doh! Need to get our remodel done so I have somewhere to put it down at kid level. 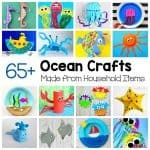 Definitely share any of your creations! I love seeing what the kids come up with! cute!! Love the boat and the see-saw!! 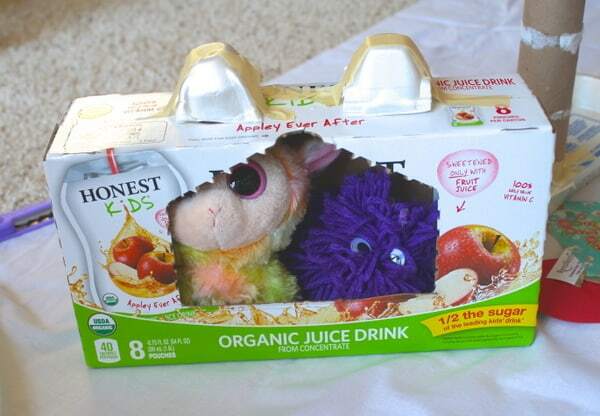 Love using things from the recycle box! That little house for the animals is just too cute!!! Something we always love to do!! Thank you for sharing at Sharing Saturday!! We truly hope to see you again at Share It Saturday! This is such a great idea! I actually have an “activity bag” with recycled items that I take with me everyday to my job as a nanny! I dump out the contents onto the floor and let the kids go to town! Your idea of using a blanket is awesome! I will definitely try that because there ARE days when their kitchen looks like an art explosion because of my “Creation Time”s! That is such a great idea, Jessica! I bet the kids LOVE your creation time! I love this idea! There are so many possibilities with something like this. Great creations! Thank you, Stacy. 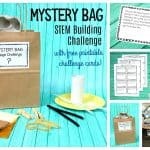 I can’t even keep up with the Create Box lately~ the second something is put in it, it’s pulled out almost immediately and used for some project by the kids!